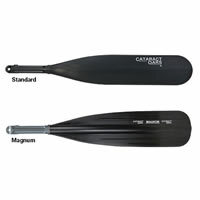 The Cataract Standard Oar Blade is made from heavy-duty structural polyurethane surrounding a lightweight composite core. This means you get more than your usual oar blade. 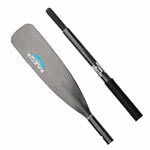 You get an oar blade that's buoyant so when you drop your oars to pick up your rod and cast, your Cataract Standard Oar Blades pop to the surface. 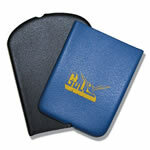 A nice way to keep from crabbing your oar. 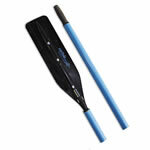 Cataract Standard Oar Blades fit Cataract, Carlisle or Sawyer small shaft oars, using the same push-button system.